Our Poly drum liners are available in 2 mil, 3 mil, 4 mil and 6 mil. choose between Clear plastic Liners or Black plastic liners. Sizes to fit 30 to 55 gal drums, pails and barrels. 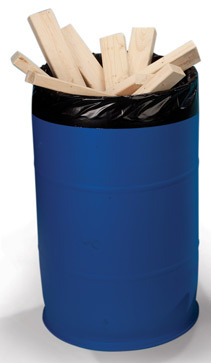 Use these large poly bags in Trash Cans, Pails, Barrels and drums.